The Florida Everblades (33-10-5, 71 points) and the Adirondack Thunder (26-17-3, 57 points) will took the ice in Hertz Arena Saturday night to decide their 3-game series, but there’s more meaning to this competition. This game also marks the team’s annual Pink in the Rink event presented by Radiology Regional Center with the intention to help raise cancer awareness and prevention. Everblades players will wear special jerseys that will be auctioned off to charity and thousands of dollars will be raised for the cause behind the color. This year, each Everblades jersey also features the ‘Fight Like Chrissy’ slogan, honoring one Florida woman who lost her battle to breast cancer at age 39. 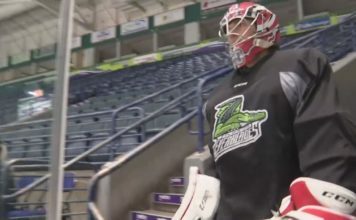 WATCH above why Southwest Florida’s ECHL team is ready to “Fight like Chrissy,” and who inspires them to raise cancer awareness, in the video above. 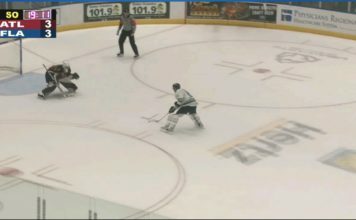 Puck drops for game 3 between the Everblades and the Thunder was 7 p.m. at Hertz Arena.